Let me start by saying...I am so lucky to live in Savannah, GA. I don't take advantage of it, and don't get downtown enough due to my schedule, but today's run made me realize how lucky I am. For that reasons..I'm going to show pictures of the areas we ran in today. This was a smaller race...and the 2nd annual. 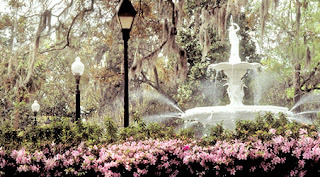 The race began at Forsyth Park....@ the mansion. BREATHTAKING. HEres a pic of where it started :We all lined the street and the horn went off. I actually started out a little too fast (realized later). 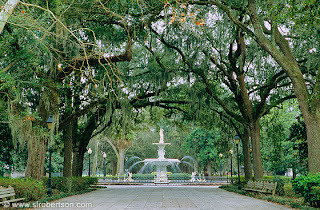 Next we ran around Forsyth Park. Again, pictures don't do this place justice...but here is a picture of it. 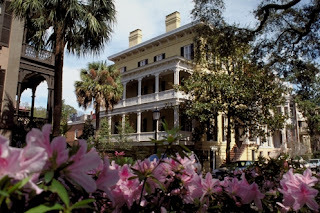 Then we ran past a bunch of old beautiful houses and trees filled with spanish moss, Daffin Park, and back to forysth. It was a tough run for me. I wore WAYY too much clothing. IT was supposed to rain...so I had a long sleeved reebok shirt on, sweatshirt, and sweatpants. It ended up getting up to 70 degrees. I was pretty overheated...and also started out a lil fast. My goal was to run it in 59 minutes...and I finished in 58:30. I was pretty pleased! Heres a pic of me after the race:) Anywho...good times. Swimming was fun yesterday. The pool was set up for long course...didn't realize that until I got to the end and was like NO WAY was that 25 m! haha. SOmetimes its hard to put pool lengths in perspective. I prob ended up swimming about 1000m..but basically just getting my shoulder used to stroking again. Working ont he bilateral breathing too...didn't seem too akward. I've worked on it in the past..but basically am starting back over again since its been so long since I swam. Thats about it...oh and got the bike tire fixed too! 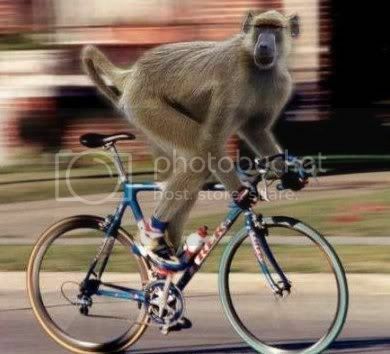 Goin for a spin later :) Have a great weekend...and come visit Savannah ya'll. Promise..you wont be disappointed. Wow, what a beautiful race. Great time too. I've visited there a couple of times. Great place. Must be nice to run in 70 degrees. Our 30 that feels like 15 here in cleveland made for a rough run today. have been to your fine city 2 times...both times..in early march and for a rarity, the weather was very brisk each trip..but..i just love the town. bride and i took some long weekends and did all the touristy things... it is so gorgeous..
Great scenery, and excellent time! Going off to google bilateral breathing, since i am a newbie in the pool, but i think i do it..LOL! The pictures are beautiful! Way to finish and hit your goal. Enjoy your time in the pool, the picures of it were awesome too. Congrats on your fab 10K! 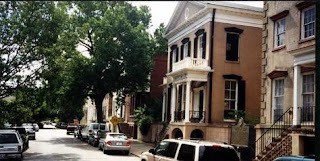 And yes, you are a lucky girl to live in Savannah... been there once and loved it! Keep up the great work, Christine!! ING is coming up fast!!! Wow gorgeous pics, I am so jealous! I probably will come down and watch the marathon. I don't live far from there so I will probably ride my bike down to the MLK area and show some crowd support. If you want to get together for coffee or something you can email me at mnowac@gmail.com. I just love Savannah. 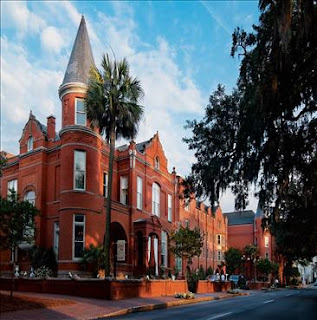 My college soccer team played against SCAD and it was my very favorite road trip, we got to spend a few days there before the games :) I keep telling the hubby we need to get down there for a visit. And 70 degrees? Sounds like heaven! Congratulations on the race time that is awesome!! Way to rock it! Sweet pics too. 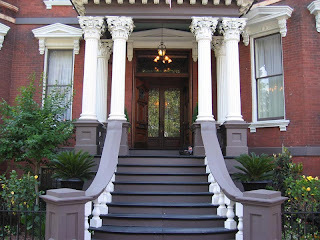 I used to know someone who lived in Savannah and she loved it there. Good Job on achieving your goal for the 10km. Wow...you are lucky to be living in such a beautiful place. Us Canadians should definitely come and visit Savannah!!! I've been wanting to visit Savanah - it does look like a beautiful place! I've never been down there but it looks great!! Nice job on the race. Those pictures are beautiful! Wow! Good job on the race!! ah i wish i was coming back to savannah for st pattys day/my birthday. it is amazingly beautiful there. i am jealous!! fantastic race time lady! youre speedy! congrats on the race! good time! 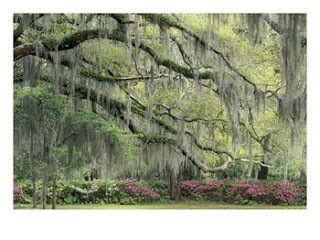 Those pictures are absolutely gorgeous... Savannah is now officially on my list of cities in which I'd like to run. Any more pretty races coming up? That is some beautiful pictures of the race corse. I am glad you had fun at the run, dispite overdressing for it. I want to live in one of those houses, it is beautiful there. 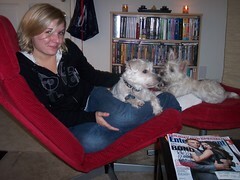 Wow, the photos of Savannah are nearly as lovey as you. That pic of you is kinda bad-assish. It was my first time doing the race, and I definitely had a good time! Nice job on the time - I hope to get down in the 50's on a 10K one of these days! Ohhh...That biathlon sounds like fun!! I am definitely interested!! Let me know when that is! I'll be at the Shamrock 5K too! I feel good that you ran a half marathon after training for 5 weeks! That gives me hope for the ING half! I am so impressed that you run with your camera... me, too! I like the home plan, however, it hardly seems like a starter home with what I estimate to be over 3200 sq ft - not to mention the 3 car garage and huge terrace. Unless it's a cash purchase, you'll have to be pre-approved for the loan and lenders these days have really tightened the belt. Even with a good current income and/or good income potential they'll want to see at least a 2 year history of of that income in the same or similar field with the tax returns to back it up. I wish you guys the best and hope you're able to make it all come together though.